Corporations, non-profit organizations or any similar group of people who are working together for a similar purpose and need a governing set of rules use bylaws. Bylaws typically address issues like membership, annual dues, the roles and duties of the governing board and reasons why a member may be disciplined or excluded. When an organization gets started, the founding members decide on the bylaws following mutual input and discussion. Failure to abide by a bylaw will likely result in some sort of discipline as indicated by the bylaws themselves, as opposed to personal liability or legal recourse from a tribunal. A covenant, by contrast, is a more formal promise or contract between two parties to engage in, or refrain from, certain conduct or behavior. The term itself is considered Biblically based, although it has several applications in modern law. A covenant promise is a more formal arrangement than a bylaw and is generally used between two individuals as opposed to used in a larger business or organization sense. Breach of a covenant can lead to personal liability or other consequences as decided upon by the parties. Covenants are generally put in writing and may be used in a property deed or contract. Within a set of bylaws is usually a section pertaining to the course a person must take to become a member within the organization. For instance, the prospective member may need to enroll in training or obtain approval from a majority of current members. Another common bylaw often involves the payment of annual dues to a corporation to maintain membership. Bylaws also often set forth discipline procedures for members, which may include private admonition, censure and eventually termination from the organization. Covenants are commonly found in deeds to property subject to restrictions enforced by a homeowners' association. While a bylaw only pertains to the individual entering into membership in the organization, a covenant may actually bind all successive property owners. Covenants are also used in contracts to ensure that parties adhere to the provisions of the agreement. 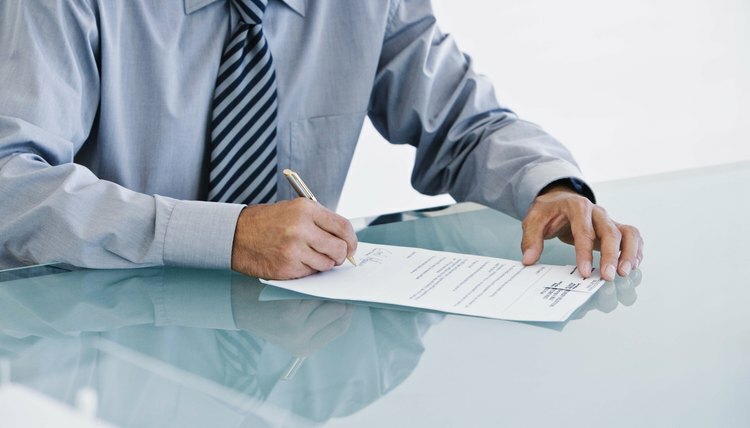 A breach of contract covenant can result in a lawsuit for damages or termination of the agreement. Center for Nonprofit Management: What are Bylaws and Why do we Need Them? Articles of incorporation is the official document that forms a corporation. The articles are usually filed in the office of the secretary of state where the corporation is formed. This document establishes the corporation’s official name and generally recites the purpose for which it is being formed, its duration, number of shares of stock allocated, as well as the names of the initial board of directors and registered agent, and the incorporator’s names and addresses. When the name of the corporation is changed, its registered agent replaced or other pertinent revisions occur, an amendment is filed with the secretary of state to reflect those changes.